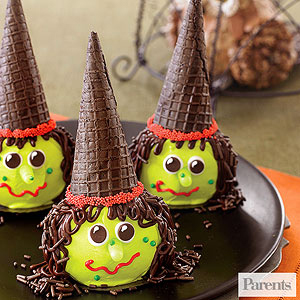 Don't you wish you could just make the halloween treats...they would be so cute. So sad we have to give out generic pre-packaged candy. 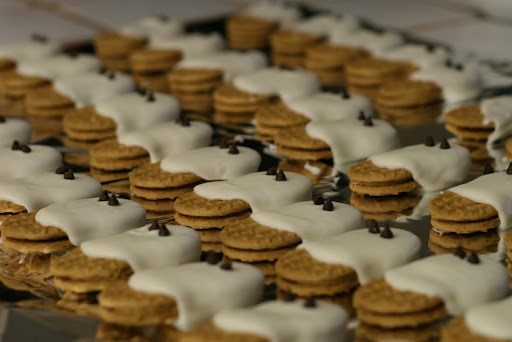 But...if you have your own party you should think about making some of these goodies. Cute little witches. Recipe found here. Nutter Butter Ghosts dipped in icing at the eyes are chocolate chips. She threw a great party check it out here. 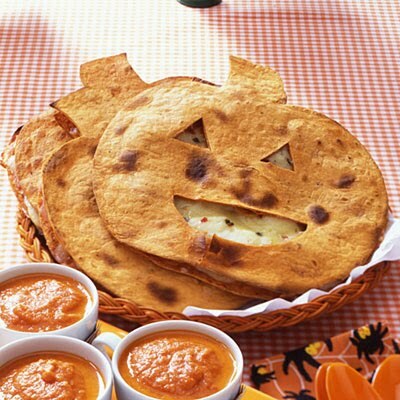 Jack-o-lantern Quesadillas. Find the recipe here. Great idea from Skip to My Lou. 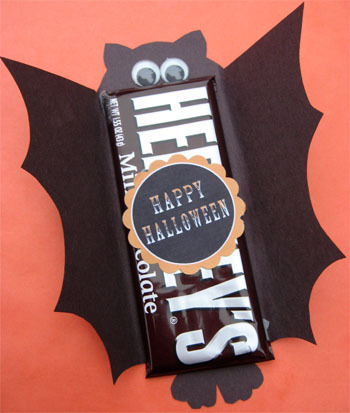 A cover up for that generic candy! She has a free download for the bat on her website here. 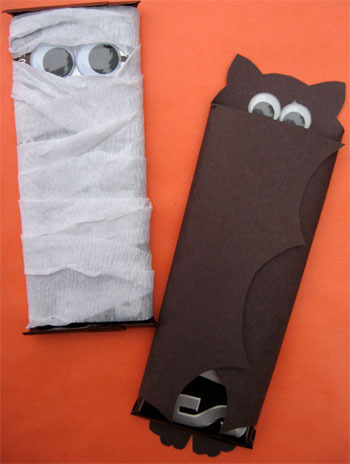 Did you make any fun goodies this year? What are your plans?